Perhaps that’s the best message a day like today offers, as people around the world celebrate International Day of Peace. A glimpse of what could be that captures the spirit and the imagination. In 1997, three years after the official end of the genocide in Rwanda, militia rebels continued in their mission to wreak havoc. One night, they burst into a school classroom where students had just finished homework and evening prayers. They demanded that students separate into Hutu and Tutsi. Their intention was clear – to kill all the Tutsi students. But Chantal refuses. 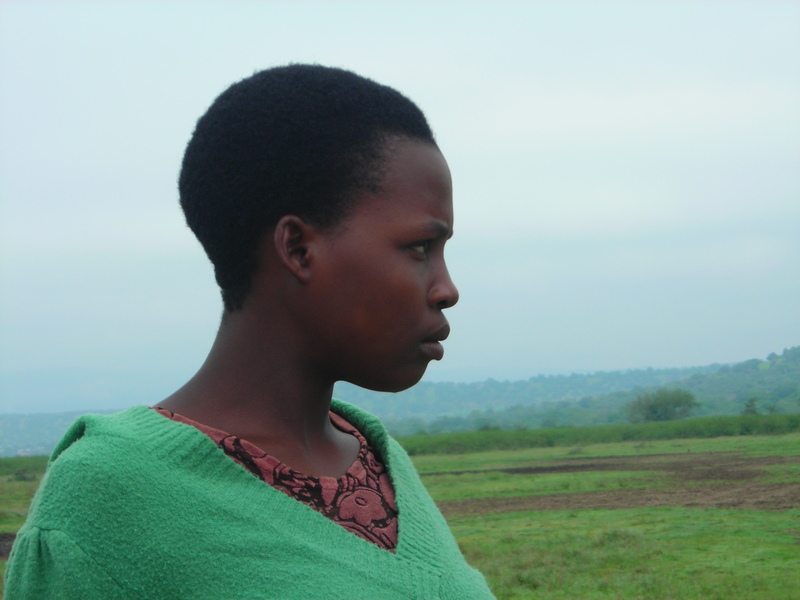 “All of us are Rwandans here,” are her last words as she’s shot dead. Her courage and conviction inspire her fellow classmates, and they too refuse to separate. Rebels continue to fire and even use grenades. In another classroom, the same story, and the same brave response. All in all, 6 students lose their life, and 20 wounded, rather than betray their friends and classmates. I wonder what impact the selfless act of students had on the rebels, deep down inside? This incident highlights the deeply spiritual aspect to peace – for it involves the necessity to love and forgive at some point in order to break the spiraling cycle of evil, hate, revenge, guilt and shame. When we stumbled across the story of Chantal and her classmates, we knew we had found the perfect location to hold our first youth peace camp this November. It will be in Nyange, at a school just a few miles away from the original site. We will also have one of the school survivors on hand to share their story. We will learn about conflict transformation, share personal stories, and even plant a peace garden for a lasting memorium. Join us. Help encourage and inspire youth who are committed to working for peace in Rwanda. Make a donation today. Join New Faith Youth Ministry in their sweet quest to have fun and raise funds to help youth at risk in Rwanda, including those courageously dealing with HIV/AIDS, go to peace camp, an inititiave of a peace of life and AEBR Youth. Join us for the screening of Munyurangabo, a beautiful film that was also the first feature film to be produced in kinyarwanda (with English subtitles). It presents some of the issues youth face today in peace and reconciliation. Also on hand: gafotozi – photo exhibit from our village workshop last November with youth at risk in Rwanda. Admission: suggested donation of $5, or pay what you can. We are very grateful for the generous support of Merchants of Green Coffee for providing the space for this event. Our evening will include an opportunity to make a donation for the youth peace camp in Rwanda. For more info, please email apeaceoflife@ymail.com. Note: Chantal Mujawamahoro (maiden of peace) truly lived up to her name. You can learn more about her story and what happened at her school in Catherine Larson’s book, As We Forgive: Stories of Reconciliation from Rwanda. Or check out the short film, “We are all Rwandans”. sorry I will not be able to attend – too far away! will pray for this event – exciting!